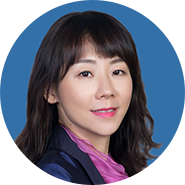 Ms. Li Qian has more than 10 years working experience in state-owned and national joint-stock commercial banks. Since she joined Ping An Bank in 2015，she has been the Vice President of the Finance SBU of Healthcare Culture &Tourism Industries, and been responsible for healthcare investment projects (involved cross border mergers and acquisitions, buyout fund, privatization, etc.) with respect to healthcare enterprises including WuXi AppTec, Luye Group, Tibet Pharma and many others, with an amount exceeding 30 billion yuan.